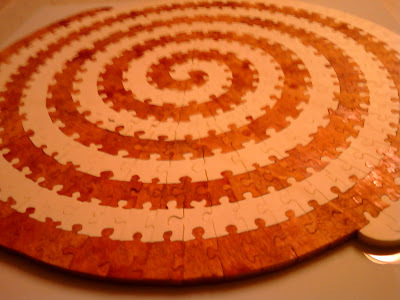 This is a diary of my adventures in cutting wooden jigsaw puzzles. 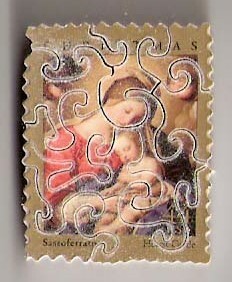 Here is the latest stamp puzzle I have cut. 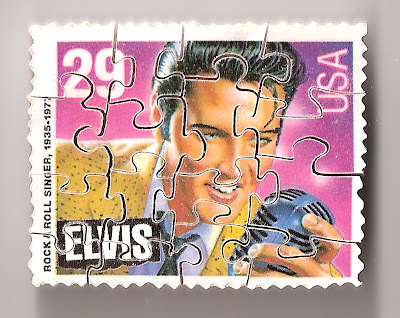 It is of Elvis. If you are interested, it can be found on my eBay page, just click on the link to the right. 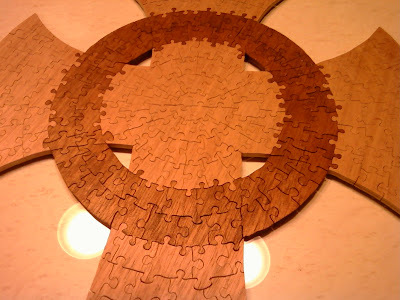 Elegant Wooden Jigsaw Puzzles !!!! I have been working on a new puzzle style for myself, and am very happy with the results. 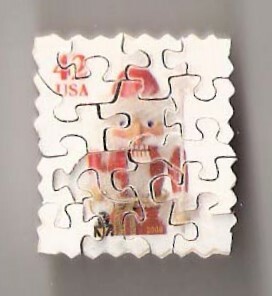 What I do is not to have a picture on the puzzle, but make the puzzle the picture itself. 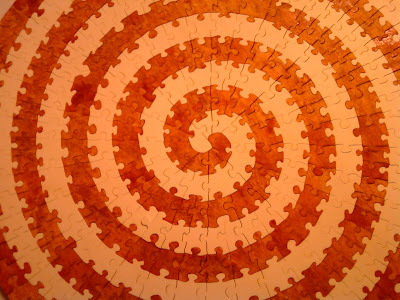 I do this by staining certain pieces of the puzzle different stain colors. I have made several of the in the last few months, and below are the results!! Let me know if you are interested in a puzzle in this style!!! The first is a double spiral that is approx. 16" in diameter, and is 353 pieces. It was a very challenging puzzle to assemble. 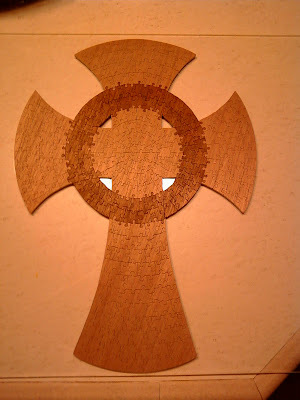 Next is a Celtic Cross puzzle that is 19in tall, and 14" wide. I made 2 of these puzzles as gifts for family members and was running close on getting them done in time, so I never got to assemble this puzzle for myself. When they tell me how long they took for them to put together, I will edit this post. 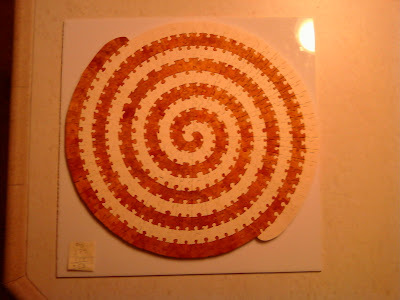 The last one I have made is a smaller version of the big spiral. This one is about 6 1/2 " in diameter, and is 97 pieces. I cut 2 of these, and the first is on ebay right now. It would make a great coffee table puzzle and took my wife about an hour to put together. Since she puts a lot of my puzzles together, I am guessing it would take the average person about 1 1/2 to 2 hours to assemble it. I found a set of stamps that are a picture of a parade. I decided to cut them all together and make it one big stamp puzzle. Here is what it ended up looking like. Tell me what you think. 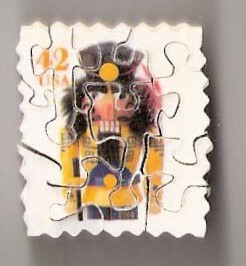 I am listing the puzzle shown below, tonight (1/5/10) !! When it is up, you will be able to click on this link to see it. 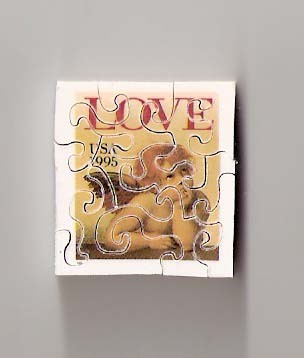 Here is my #17 puzzle cut from the art of Judith Stein. I think it really turned out great, and will be selling it soon. It is not an overly difficult puzzle, and could be a good puzzle for an older child. It was cut in swirl/wiggles style, has 179 pc, is 8x10, and only has one figural, my man in the moon. It has 2.2 pieces per square inch. If you are interested in this puzzle, send me an email, and we will work something out. I tried something different this weekend. 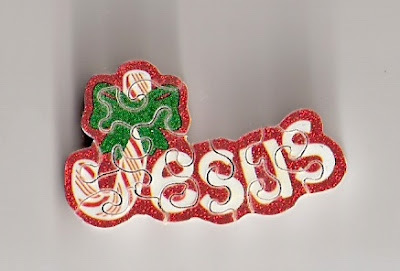 I bought some stickers that spell JESUS with the J being a candy cane, and cut one as a puzzle. It turned out really cool. Check it out!! 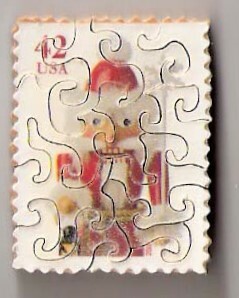 I have cut some more Christmas Stamp puzzles!!! Check out the pics and tell me what you think. I always like to hear from people who enjoy my hobby!! Check these out on Ebay also by clicking on the link at the top right of this page. I decided to try something a little different. I wanted to see if I could cut a stamp puzzle using the swirl cut technique. Below is what I ended up with!!! I really like this, and will probably start cutting some stamps in swirl cut. If you would like one in swirl, email me and let me know. 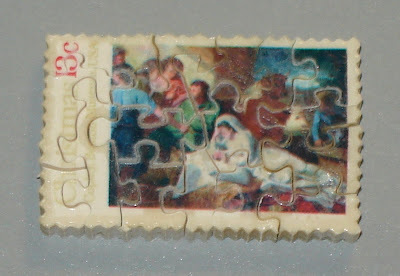 I have added a nativity stamp puzzle to my stamp puzzle list. Here is a link to the ebay auction. Here are some pics of this stamp.